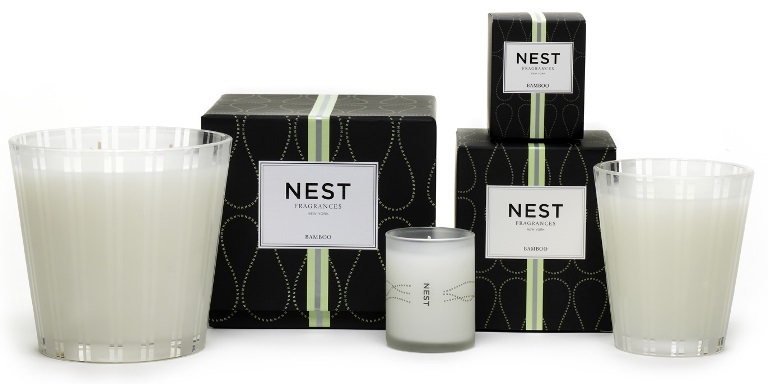 NEST Fragrances was founded by Laura Slatkin in 2005. She and her husband, Harry, earned for developing original and award-winning luxury home fragrance collections with their first luxury brand, Slatkin & Co., which was sold to Limited Brands, Inc., that same year. Working with the world’s most acclaimed master perfumers, the Slatkins created distinctive and luxurious home fragrances, personal care products and fine fragrances that met the highest standards of fine fragrance quality and excellence. This page will house all official NEST reviews we do for Candlefind. Holiday from NEST was everything I hoped it would be. It wasn't your typical holiday Christmas tree scent. It was so much more. Fresh pine, crisp eucalyptus and sweet mandarin orange. Sounds different doesn't it? It was! Ocean Mist & Sea Salt scent description: Refreshing and clean, the gentle essence of ocean mist is peppered with hints of sea salt, crisp white tea and luscious coconut.